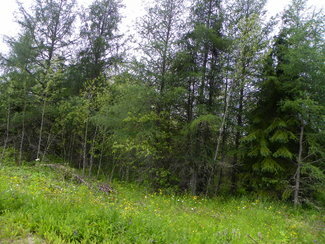 DREAMING OF BEING A COUNTRY GENTLEMAN? 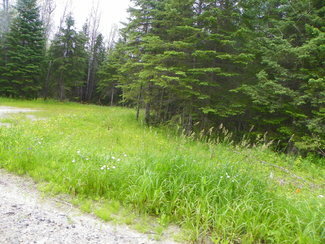 33 acres of land with parts of an OLD HAY FIELD. 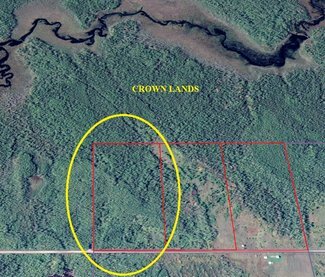 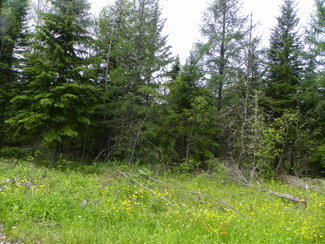 This property has some nice areas to clear and build your rural retreat. 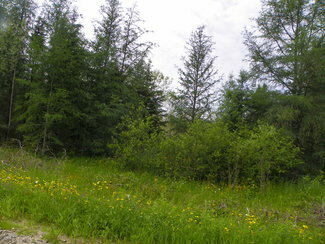 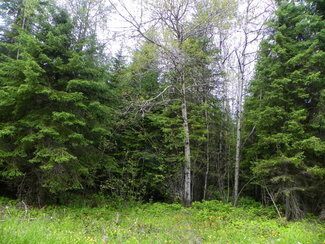 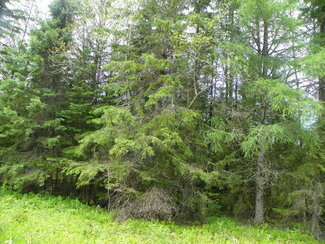 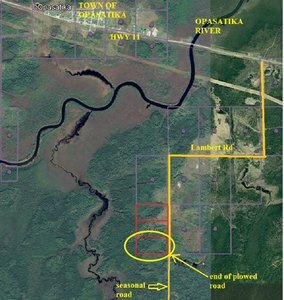 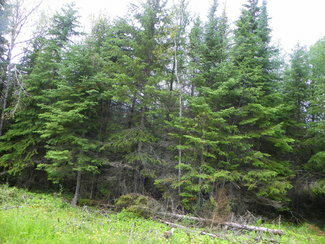 The property is in wooded lands with mostly Spruce trees and Poplar trees and some Birch trees. 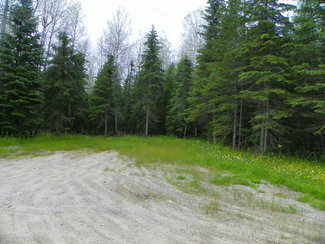 In fact, the snow plow turn-a-round is located just immediately south of the corner of the property along the road. 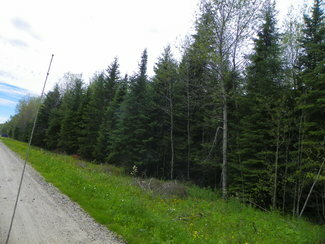 Electrical power ends about 280 meters immediately to the north of this property. 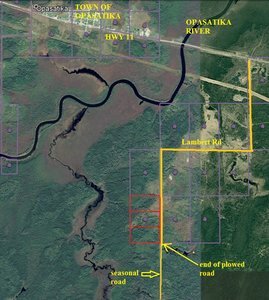 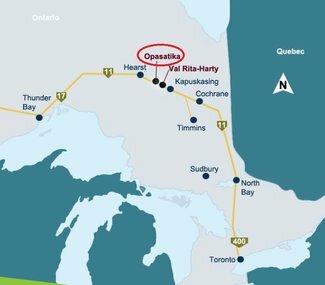 So, depending on where you want to build you can be as close as 280 meters to the last hydro pole or as far as 380 meters from the last pole. 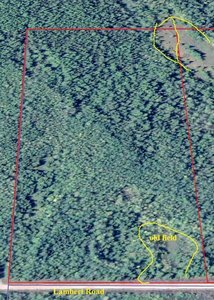 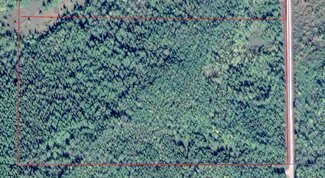 This is the property that ends at the winter turn-a-round and then go back towards the old cabin for 266 meters and that would be the end of the property. 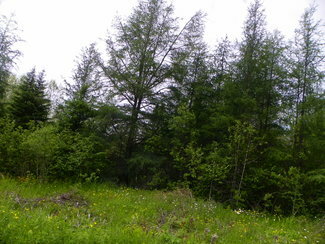 The survey pegs are in the ground and are well marked and the for sale sign is about the middle of the property.